1) 'The Watchmaker' - What if you could relive a single hour of your life? Could you undo your biggest regret? 2) 'Heroes of Old: Episode 1x01' - A genetically-engineered super-soldier crash-lands on 3,500 BC Earth, spawning the myth of fallen angels. I hate-hate-hate-hate spamming people (did I mention I hate spam? ), so you'll rarely hear from me unless I have a new release or I'm participating in something awesome (like a giveaway with lots of prizes). I promise to keep your personal information safe, keep it interesting and never spam you. 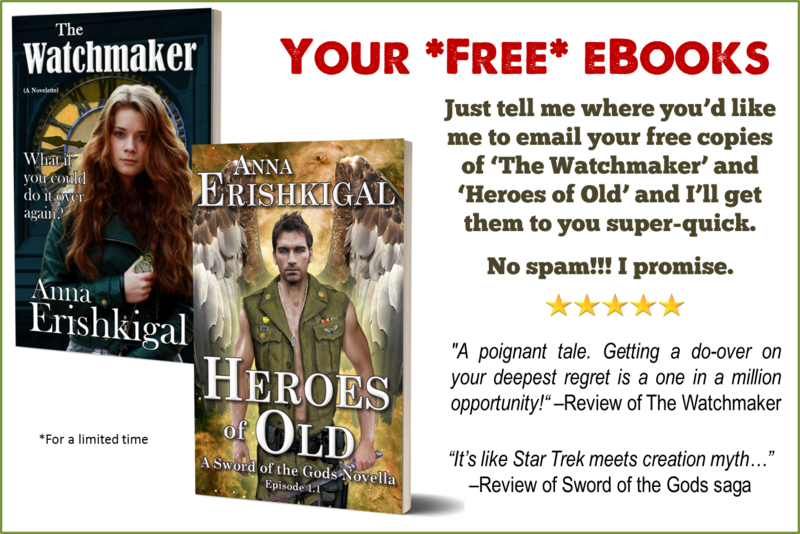 I never 'swap mailing lists' or share information with other authors. I use Mailchimp, so you can 'unsubscribe' at any time. Would you like news in other languages?